Shore Drive is a very popular family-oriented destination with no through traffic. Elevator equipped, the building sits oceanfront. You can enjoy both the balcony and a screened porch from our third floor Condominium. Our Condominium is decorated with a nautical theme, has ceramic tile floors in all areas except the bedrooms which are carpeted. The Master Bedroom features a king-size bed, the second and third bedrooms both have two twin beds each. The living room sofa is a queen-size sleeper. The dining room table seats six comfortably and there is seating for two people at the bar. We have patio set on the screen porch that seats four. The kitchen is fully-equipped and living room has cable TV with a VCR and DVD player. There is also an entrance screened porch for storing your beach chairs, floats, etc. The unit also has a full-size washer and dryer for your convenience. No Pets are allowed and No Smoking is allowed inside the condo. New carpet installed Fall 2013. New counter tops installed Fall 2015. We offer free parking and free wi-fi. Pelican's Landing is conveniently located between Myrtle Beach and North Myrtle Beach near the new Conway Bypass (Highway 22). A short walk up the beach is Apache Pier. This is the longest pier on the east coast and has an arcade and restaurant. They feature live bands on weekends during the summer months. A short walk down the beach will bring you to Ocean Annie's Beach Club where you can shag the night away. Across the street is the Straw Market with a general store, a Sub Shop, ice cream shoppe, pizza parlor, and an ABC store. Flip Flops Bar has live music also during the summer. We are also located near Tanger Outlet, Super Wal-Mart, 24/7 Kroger Superstore, Arcadian Golf Course, and 2001 Nightclub. A short drive away is Barefoot Landing, Broadway at the Beach, Pirates Voyage, Carolina Opry, Alabama Theater, the House of Blues, and many great restaurants. HOA rules specify No Pets, Trailers, Boats or Campers. Minimum rental age is 25 years old. My husband and I both grew up in North Carolina but love the Myrtle Beach area. We both love the ocean and the serenity it brings us. We try to get to Myrtle Beach as often as possible. We are only three hours from the beach! 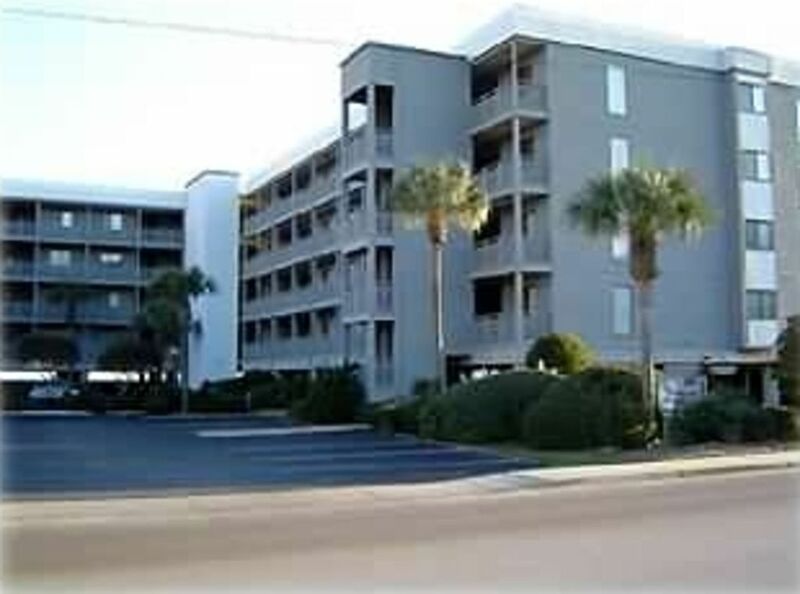 Pelican's Landing is located on Shore Drive which is a more private area of Myrtle Beach. Shore Drive is a dead end road so you do not have a lot of traffic. This area is the best that Myrtle Beach has to offer. You are convenient to all the shopping areas and restaurants, but still secluded from the high traffic areas. The two pools areas give ample room for your fun in the sun and there is always the beach which is only steps from our condo. Both pool areas were renovated with beautiful brick pavers Fall of 2015. We stayed in this unit during our summer vacation last week. The condo complex is right on the beach and our unit had a partial ocean view by way of two balconies. Getting to all of the attractions was super easy and there are a few restaurants within walking distance of the unit. All of the bedrooms are well appointed but the 3rd bedroom could use a TV. Not a big deal if the weather is nice but we did have rain which caused us to spend more time in the room than planned. We were caught off guard the first night when we put the kids to bed and realized that none of the beds were dressed. We had to hunt down the sheets in a large blue laundry bag that contained all sheets and pillow cases. It was not a big deal but I do think they should make us aware in the instructions. All in all we had a great time and the condo fit our needs. Thank you for you review on our condo. We are glad the location and amenities met your family requirements and hope you will return. The linens are delivered by the housekeeper and she does not make up the beds due to the fact she does not know which beds will be used by the next guests. Sorry this was an inconvenience for your family. Location was excellent, right on the beach. Condo was nice and clean, had everything we needed. We would stay here again. Thank you for your wonderful review. We hope you will return soon. The condo is just steps from the beach and near restaurants, pier, shopping, Pelicans baseball, and this is just a few of the things close by. The condo had all we needed and liked the screened porches, great for out beach gear. Our family had a great week. Thank you for your kind words. We are so glad that our condo was perfect for your family vacation. Great location on the ocean convenient to everything. Nice condo good price second time staying in the condo will come back. Thank you for your kind words. We look forward to you returning in the future. Unit was very, very clean and kitchen updated with granite. Pool area and beach access is great. Bathrooms in need of updating, along with decor. Building is badly in need of renovation. Overall a great stay and we would stay again! Thank you for your kind words. We look forward to your return. Linen rental fee - optional - $75 50% refund if cancelled at least 30 days prior to arrival date 100% refund if cancelled at least 60 days prior to arrival date.